Teenagers are spending more and more time on their phones and on the internet. This can come with negative side effects, such as decreased self-esteem, trouble relating to adults and peers and trouble sleeping. 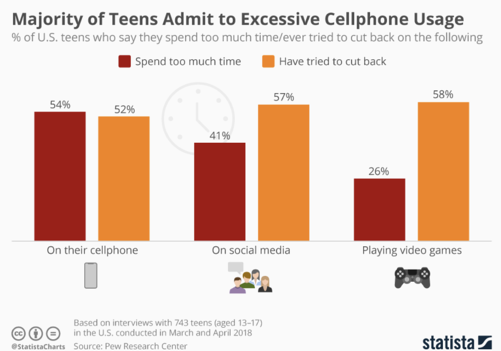 Does your teen spend too much time on their phone? Read 5 tips to help your teen take a digital detox. The issue of how much phone use is healthy is currently being discussed and debated by experts. It affects anyone who has access to a phone and internet but it especially affects teenagers. A study by Common Sense shows that the average teen uses about 9 hours of media per day. 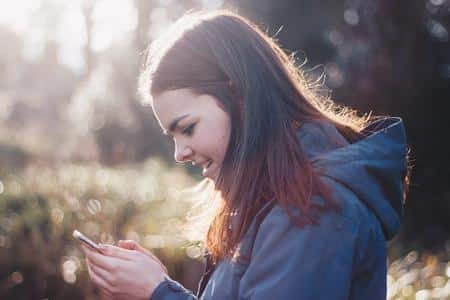 A digital detox is an important opportunity for teens and adults to disconnect from social media, email and other online distractions, and begin to connect more with one other. But as you can see from the below graph, it is hard to cut back and many teens try. Therapist and brain training coach, Alison Pepper, LCSW, regularly speaks to teens, young adults and parents about cellphone and screen usage in her NYC therapy practice. She understands how many teens want to cut back on their phone and social media use but struggle to find the most effective tools. Here Alison shares 5 tips to help you and your teen unplug from technology by taking a digital detox. From the beginning, healthy boundaries around screen time are helpful. Many parents think carefully about this when they give children their first phone but many do not. It is never too late to think about how you want your teen to use his or her cellphone, tablet, computer or video game console. Research has shown that less screen time can promote better sleep, minimize stress and enhance focus and productivity. These are all things parents hope their busy teens can achieve. Children benefit when parents model this behavior at home. Rules and expectations in each household will be different but the key is that you think about what works best for you, your kids and your family. What would it be like to have a dinner with no phones? An evening phone free or TV free? What about a weekend home or away with minimal technology? Taking breaks from our cellphones and screens , whether it's one night or a whole vacation, allow for more time together and more human connection. There are tons of great resources out there with tips for how to take a digital detox and how to talk to your kids about screen time. Check out Screenwise Helping Kids Thrive (and survive) in their Digital World by Devorah Heitner. Nature is a playground for all! The beauty of being outdoors is that there is usually something for everyone; spots on the field, sitting and talking in the park, hiking, swimming, strolling, eating outside, playing outside-- the list goes on. Spending time in nature is good for you; it's rejuvenating and up lifting. To read more about spending time in nature, read Alison's other post: Ways to Relax in a Chaotic World. Or check out one of Richard Luv's many books, such as Last Child In the Woods. If your teen doesn't already spend time outside, try to find creative ways to add an adventure into their evenings or weekends. 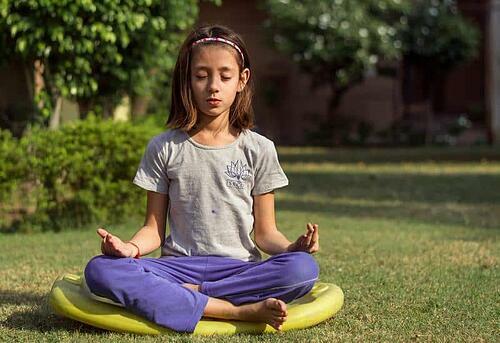 Now in days, mindfulness meditation comes in many forms. You can read about it in books, listen to it on apps, or attend a class, workshop or retreat. You can practice alone or with others, so it is a great tool for families. Families that are curious about or open to meditation can explore it together by meditating together, or supporting each other while meditating on their own. To read more about meditation check out this blog and podcast by NY therapist Natalie Baker, LMHC. If you are looking for class or retreat this spring, check out the Brooklyn Zen Teen Meditation Program or the upcoming Sky Lake Teen Retreat. Another way to enhance relaxation and deepen meditation is to unplug for a weekly neurofeedback session. Neurofeedback is a safe and non-invasive brain training tool that builds resilience and flexibility. The NeurOptimal® neurofeedback machine works by training the brain to use present moment information to decide what to do next, rather than old, out-of-date information. This advanced brain training technology--developed in part by NASA-level engineers -- works by triggering what is called the orienting response, which is the brain’s ability to sense change in the environment and take in new information about what is different. What are the benefits of neurofeedback when doing a digital detox? A neurofeedback system is designed to interrupt our habitual patterns so we can reset ourselves. 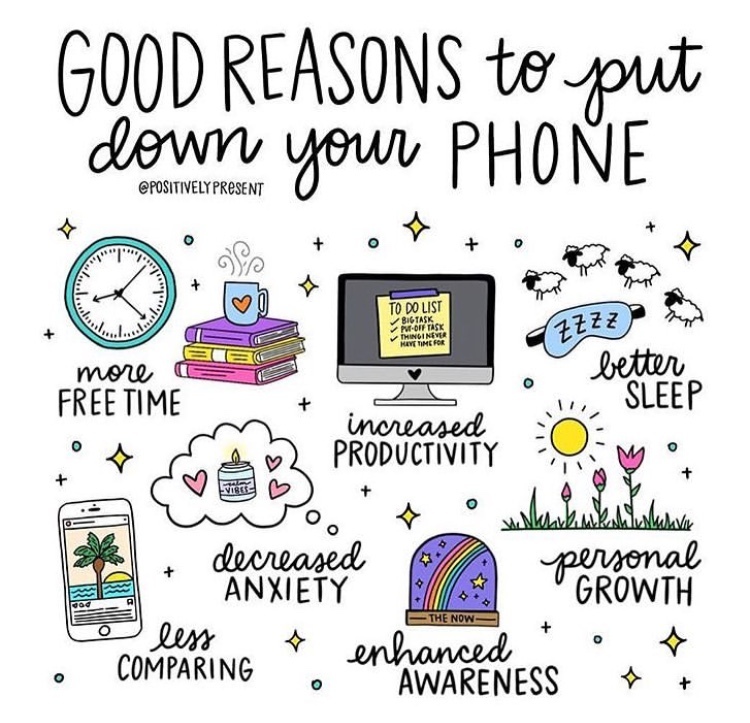 It is a perfect support for a digital detox because the biggest struggle is not in the teen's desire to use technology less, it is in the habit that has unconsciously formed to reach for the phone whenever there is a gap in activities. 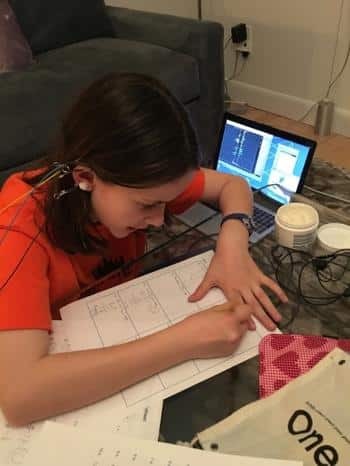 With the NeurOptimal® neurofeedback system the ease of doing brain training comes from the fact that the technology is fully automated so can be done in at home with a rental. When I am working with teenagers I typically recommend they do neurofeedback before and during their digital detox. I want them to have as much support as possible for interrupting the habits and support for forming new behaviors. With the benefits of calm and focus, neurofeedback helps reach those goals. Interested in Alison Pepper's detox work with kids? Schedule a FREE consultation with Alison today. How does social media affect self-esteem? Social media usage continues to go up and up. Facebook now has over a billion user worldwide, many of them young people. This means the human need to compare ourselves is increasingly present in developing teen brains. On social media, people tend to project the best version of themselves, even if they feel or act differently offline. A number of research studies point this out and show that low self-esteem is correlated to time on social media. Social media has been linked to increased feelings of loneliness, anxiety, depression and envy. For more information about some of this research, visit NY Behavioral Health site. Should I take my teens phone away at night? This is an important and personal question. No one can answer it for you but, as a child and family therapist, here are some things I suggest you think about. Is your child getting enough sleep at night? Is your child having a hard time getting up and out of the house to school in the morning? Are you hearing from the school that your child is getting into trouble with teachers or students? Are your child's grades slipping? If you answered yes to one or a few of the above questions, then chances are your child's cell phone usage might be causing them distress. If a child isn't sleeping at night because they are playing on their phone or because some content on the phone charged them up in someway, it is important to know about that and limit it, if possible. The key here is to ask your teen questions and understand what their experiences are to the best of your ability. When it comes to cellphone rules for teens, I think the most important thing is to ask and know. Second to that, is to remember that it is the adult's responsibility to model healthy boundaries. 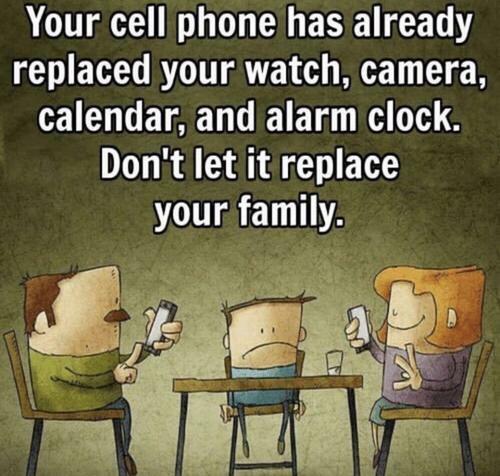 So, that means we all have digital detox work to do. It can be hard or even scary to break a habit but inspiration and knowledge can be a powerful tool to make healthy changes in your and your teen's life.